Following horrific events such as the shootings in Orlando; San Bernardino, California; Sandy Hook Elementary in Connecticut; and Columbine High School in Colorado, we naturally question the safety of our surroundings. We find ourselves asking if our workplace is at risk of a terror situation and in what areas are we vulnerable. Property managers must ask if their employees and tenants feel safe and if they are prepared if something happens. It also is important to consider how the company will be affected if targeted. These questions lead us to examine our security program, considering who came up with it, when it was last evaluated, does it work and is it maintained. When considering an active shooter threat, managers must wonder how the officers will respond, are they in the right place at the right time, and are they properly trained and screened. And finally, managers must consider if their employees know what to do in an incident. Although times have changed in the past 20 years, the security program at many workplaces has not – it’s still the way it’s always been. These are the concerns your corporate security department is working to mitigate. A corporate team of Certified Protection Professionals, Physical Security Professionals and those with criminal justice degrees can create programs and processes for your employees, conduct trainings for security officers, hold sessions on awareness, and create workflows to streamline a response in the event the unthinkable happens. There’s only one problem with what you just read. Most companies in the U.S. don’t have a corporate security department. Small- to medium-size businesses (those with less than 1,000 employees) represent 99.7 percent of all employers, and employ half of all private-sector workers and 39 percent of high-tech employees. There are roughly 130 million U.S. workers employed by small- and medium-size businesses. 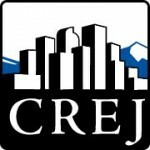 Unlike large global corporations with sprawling headquarter campuses, these small- and medium-size businesses lease space in downtown high-rises, suburban business parks and in warehouses surrounding metropolitan areas where employees are abundant. As a commercial real estate manager, you may be the landlord to a call center, a software company, a bank, a political campaign, an accountant, a day care center, a restaurant chain and a psychiatric specialist all in the same building. Each of these businesses and their employees are relying on you to protect them. How do you determine the level of security necessary when your workplace population is a melting pot and you don’t have corporate security expertise to lean on? A good place to start is consulting research on average security expenditures and efficient ways to disseminate a corporate security budget. 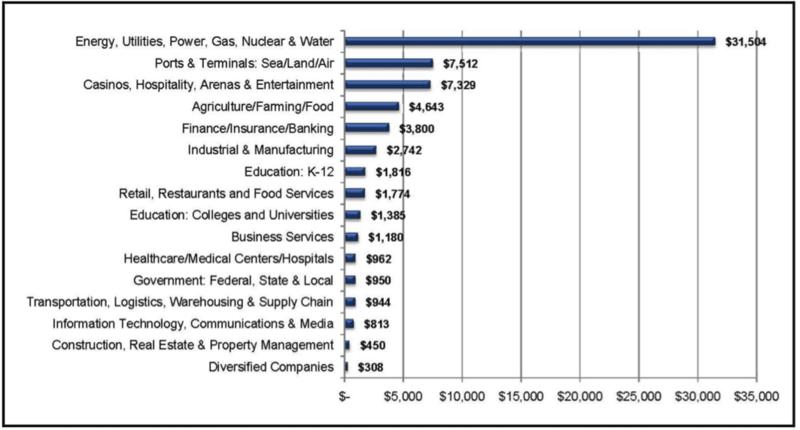 The chart is a snapshot of how much various industries spend on private security per employee, taken from a private security industry report compiled by the National Criminal Justice Reference Service. Let’s take the case of real estate and property management, the second to lowest on the list at $450 per employee. In a 16-story high-rise with 625,000 total square feet and an average of 190 sf per occupant, the property may have a population of 2,900 people at 90 percent occupancy. According to the research, the annual security expenditures at this property would average $1.3 million. 1. Threat, vulnerability and risk assessments. These assessments are used to identify areas of weakness and evaluate surrounding environmental threats, economic risks and workplace population threats. These assessments are critical to creating an effective security program. 2. Security program development and consulting. The creation of a culturally and environmentally sound security program for a property consists of combining the right balance of technology, intrusion detection, access control, video surveillance and carefully chosen personnel. 3. Security training and awareness.Training offers the opportunity to provide specific instruction on enhancing how the workplace population aids in the overall protection of the people and property. 4. Security audits. A systematic evaluation of a property’s security program can measure how well it conforms to a set of established criteria and standard processes. 5. Penetration testing. An undercover (authorized) professional attempts to gain access to a property, systems, valuables or critical areas to test a security program’s effectiveness. So when considering how to make your workplace safe, remember to assess, develop a program, train, audit, test and refine. Featured in the July 2016 issue of Property Management Quarterly.